In the case of an enlightened being, rebirths are taken consciously, motivated by a desire to benefit all living beings and made possible by the depth and clarity of an individual's realization. The first such reincarnation (tulku) was recognized in thirteenth-century Tibet. 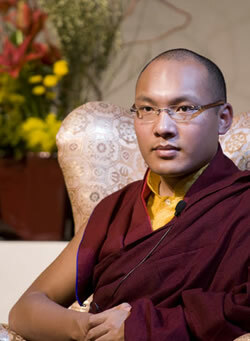 His name was the Gyalwa Karmapa, "The Victorious One of Enlightened Activity." 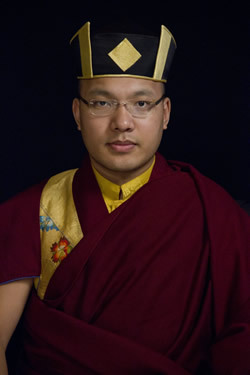 Thereafter, he continued to return, generation after generation, until the present seventeenth Karmapa. 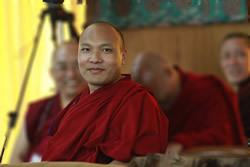 The Karmapa is said to embody the activity of all the buddhas of the past, present, and future. Citing ancient texts, traditional histories trace his lives back for eons and continue it forward into the distant future. 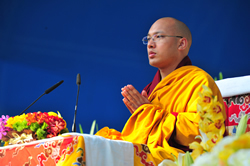 "His Holiness the Gyalwa Karmapa holds, teaches, and inspires the lineage of the Kagyu order, which is known for its meditative practices, its focus on retreat, and the many realized masters it has produced. 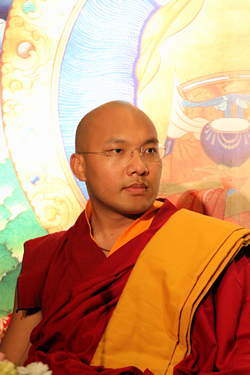 Like the Dalai Lama, the Karmapa is regarded as an embodiment of compassion, represented by the deity Chenrezik. 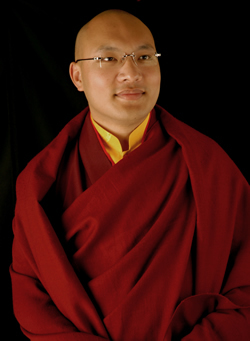 The sole purpose of the Karmapa's incarnation is to lead living beings from the suffering of samsara into freedom- the realization of mind's deepest, pure nature. This full awakening, or enlightenment, is possible for every living being who sincerely engages in practice." “Peace and well-being are to be found in this world, and even for Tibet, peace is not impossible. We should understand that just as we seek happiness for ourselves, so do others seek happiness for themselves. Many problems are created in our world today because people do not engage in what will actually lead them onto a path that benefits them and brings happiness. From the time we open our eyes in the morning until we sleep at night, if we can pass the whole day with in a kind-hearted mind and cheerful face, on good terms with people and talking pleasantly to them, our mind will be relaxed when we go to sleep at night. On the other hand, if we spend the day making others upset, if we fight, and even if we win, when we are going off to sleep at night we will have regrets and our mind will not be at ease. His Holiness greeted by children at the Airport. Slide show from the visit to the Kunzang Palchen Ling, monastery of Bardor Tulku Rinpoche, Red Hook, NY.